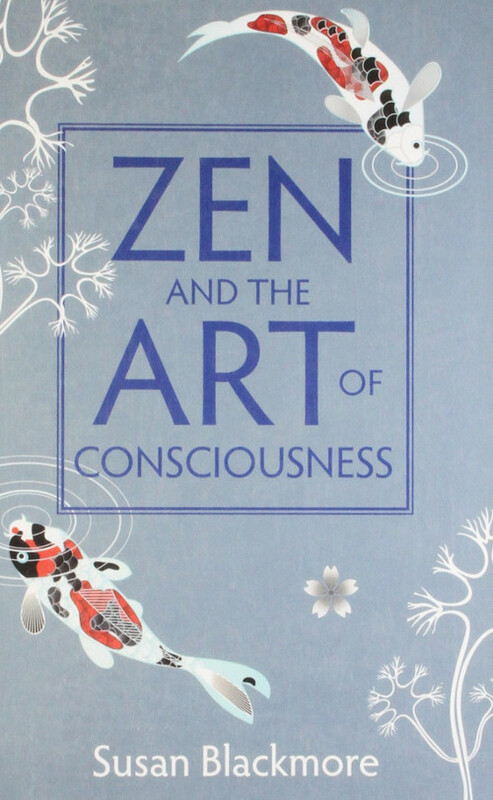 You may have read my review of Susan Blackmore's book "Consciousness - a very short introduction". As I'm keen on getting a better idea about the purpose of meditation, I was delighted she had written a book in which she describes her approach to understanding consciousness through meditation. I have no meditation experience whatsoever. But a koan reminds me of a saying that goes like this: "I would have written a shorter email, but I didn't have enough time". These koans seem to be both concise and rich in content, and have surely evolved into this state over several hundred or thousand years. Of course some koans were more appealing to me than others, I liked the one about time and memory best. Susan Blackmore's approaches were inspiring, and I thought about this one a lot. Although this article was supposed to be a book review, I think I share a few sentences on my take on the koan. I realized I experience time in two different modes. The first mode is maybe the default mode: time is linear, it is divided into years, days, hours, minutes, seconds. I have appointments, think a lot about the future and the past. Being in this mode is exhausting. The second mode is the focus or flow mode: I regularly experience it when employing the Pomodoro technique, or when I'm at the playground with my daughter. Time is defined by events that happen sequentially, I don't think about time running out or being late. When the Pomodoro bell rings, it's time for a break. When the sun goes down, we go home. I lose the sense for measuring time, half an hour can feel like a day (or a minute). When I'm conscious about being in a flow mode, past and future seem to lose their importance, and the "now" is expanding, sometimes to a degree that scares me. Maybe because the importance of the self is diminished, because without a past or future there isn't any narrative that would define a self. This state of mind comes closest to saying "there is no time". Memories here feel like being immersed into a movie, it is not I who is the subject, but someone else. They seem like stories about other people, not me. Memories are not about various points in time, but more like isolated islands with another person on them, there is no connection into an arc that results in a story about "me". In short: There is no self. What I like most about Susan Blackmore's style is her dedication and honesty. The book is not just a collection of insights, but also of struggles, failures, dead ends and exhaustion. As a scientist she addresses the koans in a rational way, and although her insights are quite stimulating, she admits that she frequently gets confused and frustrated. I found this aspect encouraging. Has this book taught me more on the purpose of meditation? Yes, I learned that meditation can give you a different perspective. Of course I searched the web for other opinions on the purpose of meditation. I found a lot of unsatisfyingly vague statements, and it's easy to get lost. However, one quote from the Dalai Lama stuck: "The main purpose of Meditation is the transformation of the mind". I guess being able to detach oneself from the idea of the self is what makes any transformation easier, as I'm no longer constrained by a past or future. But talking about meditation might be similar to dancing to architecture. So I will try to get into a modest meditation practice on a regular basis. Now I'm curious. Buy the book at Amazon or ask me for my copy. Books must travel and not sit on shelves.